We all enjoy a nice, refreshing can of beer, but that beer sure does come out slowly. Fortunately, we have an excellent solution: The Can Bong! 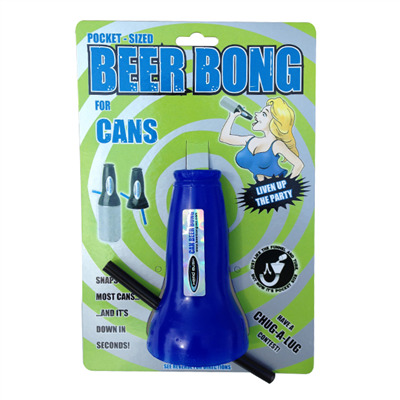 These bright blue Can Bongs are extremely easy to use - simply snap the bong onto the top of your can and get ready to down it all! The Can Bong is perfect for festivals, house parties, and big nights out. 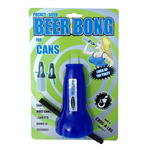 Each Can Bong is packaged with a cardboard backing for display. Perfect for party suppliers and drinking accessory stores.